In 1938, Brooklyn hitman Barry Eisen is assigned a special mission: carry half a million dollars westward to Arizona, where federal fugitive Louis "Lepke" Buchalter, boss of "Murder, Inc.", is in hiding at a ranch owned by Cleveland mobster Moe Davis. Armed for battle and expecting to be stopped by rival gangs at any point along the way, Eisen travels by train and must fight for his life on his first journey west of New York City. A veteran gunman, Eisen thinks he's ready for anything, but he finds he's mistaken as a small army of syndicate soldiers converges on the southern Arizona hideaway, intent on killing anyone they find and picking up the money for themselves. 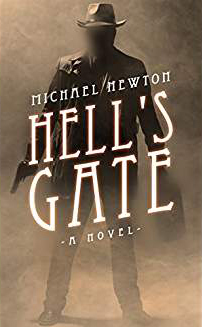 Who will survive as the battle unfolds at Hell's Gate?